Born Everett Leroy Jones to a middle-class family in Newark, New Jersey, the son of a postal employee and social worker, Amiri Baraka was educated at Rutgers, Howard, and Columbia universities. 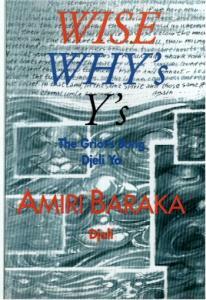 His work and his system of beliefs have gone through several distinct phases. In the late 1950s and early 1960s he was active among Beat writers on New York's Lower East Side, writing his own poetry and plays and editing two period magazines, Yugen and Floating Bear. Yet he was also increasingly impatient with what he saw as the political irrelevance of the Beats and the gradualism of the Civil Rights Movement. In Baraka, the Beats' scorn for materialism was gradually being transformed into a more aggressive and politically focused critique of capitalism. Race was also becoming more central to his view of American culture. His center of operations moved from the Lower East Side to Harlem, and he became a founding figure of the Black Arts Movement of the late 1960s and early 1970s. 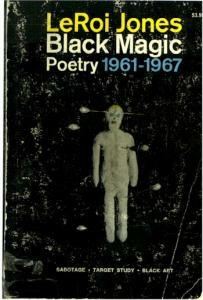 "Black Art" was essentially the ars poetica of the movement. 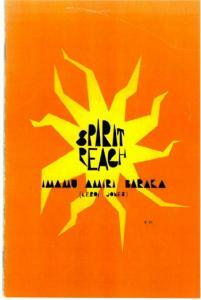 He had first published as LeRoi Jones; now he was Amiri Baraka. For several years, he was a stunningly forceful advocate of black cultural nationalism, but by 1975 he was finding its racial exclusivity confining. He thus embraced the revolutionary forms of international socialism. 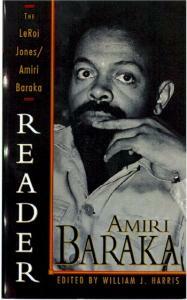 Baraka's poetry, plays, and essays have been defining documents for African American culture for nearly four decades. 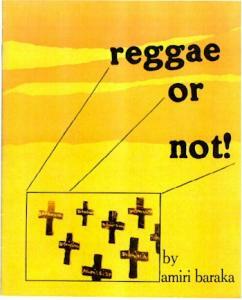 William J. Harris: On "Black Art"
William W. Cook: On "Black Art"
Jay R. Berry: On "SOS"
Phillip Brian Harper: On "SOS"
M. L. Rosenthal: On "Black Dada Nihilismus"
William J. Harris: On "In the Tradition"
Philip Heldrich: On "In the Tradition"
Kimberly W. Benston: "Amiri Baraka: An Interview"